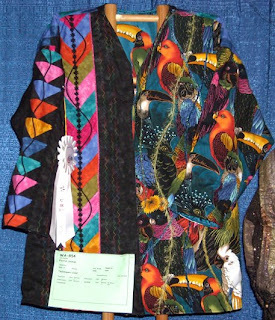 I was so thrilled to see my mother’s hard work recognized by her peers today at the West Sound Quilters’ show, and am happy to be able to share pictures of her and her prize-winning quilts! I adore everything she does and am her biggest fan. 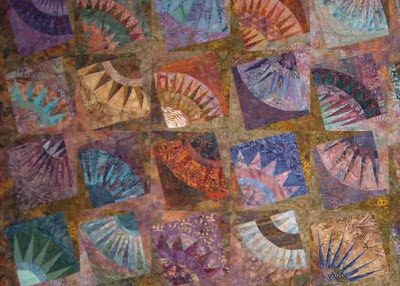 The batik New York Beauty is my favorite quilt of all, and usually resides on my living room chair, warming me each evening with its beautiful, subtle colors. Each block is an amazing engineering feat in piecing – there are hundreds of points in this quilt, some of which have two pieces in each point. I love the way the blocks are juxtaposed against one another for a lively, dancing rhythm. 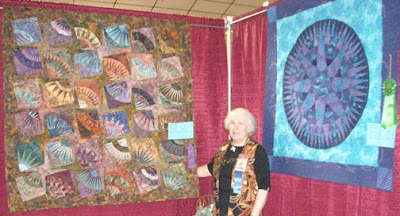 She created the whale mariner’s compass quilt for my father to commemorate their fifty years together. 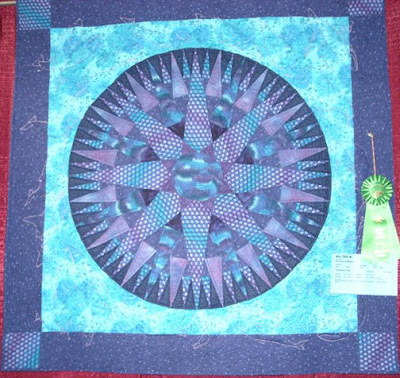 All around the border, there are various species of whales, outline quilted and done in trapunto. It is truly a labor of love. Congratulations, Mom!